Autumn loves her food, but I worry about her eating too many things that aren’t good for her. After all, a lot of convenient on-the-go foods have scary levels of salt and sugar in them, even when they’re marketed at children! Meanwhile, at 18 months old, her taste-buds have become more sensitive to flavours. If my husband provides her with some chocolate buttons, some chunks of pear and blueberries, the fruit will all go straight on the floor! 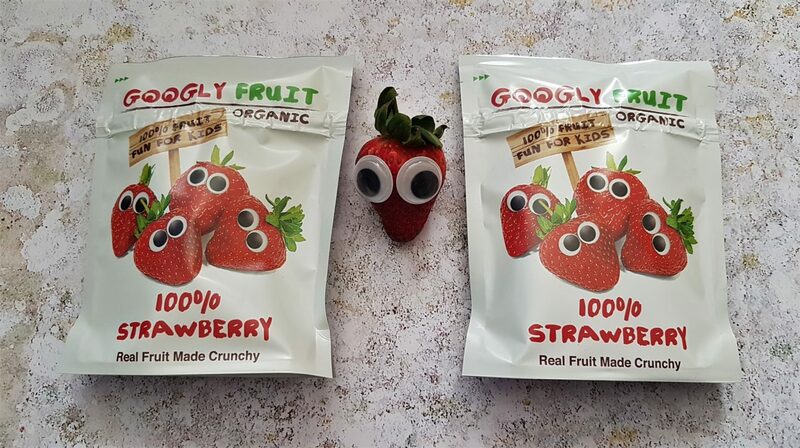 Therefore, it’s important that healthy snacks are presented to her carefully and in a fun way, like Googly Fruit’s organic products. When our Googly Fruit products arrived for us to test, these were the first thing that Autumn reached for! Made of corn with strawberry and banana powder, they offer all the fun and crunch of crisps without the unhealthy factor. Autumn loves eating from a packet and seemed to really enjoy eating these. I tried one too and they were pretty good. You can taste that there’s no added sugar and that they’re not oily unlike other crisps. Only a little sunflower oil is used to make them. These also come in carrot and tomato flavours! 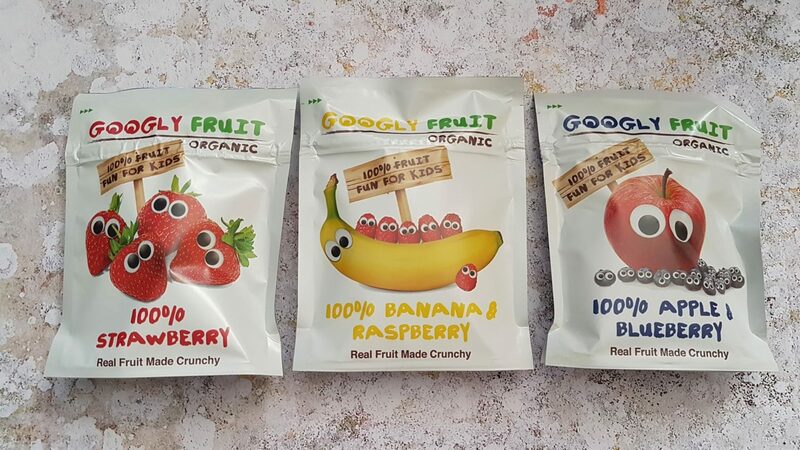 These pouches of freeze-dried fruits also make a great snack. As with the corn puffs, there is no added sugar and there are no artificial colours or preservatives. They currently come in three flavours; strawberry, banana and raspberry, and apple and blueberry. Autumn enjoyed these too; as did I! As well as snacking on them at home, I’ve also taken these out with us to visit family, to the library and on our recent trip to Hever Castle! It’s great to have snacks like these available that can be grabbed at a moment’s notice. You don’t have to worry about chopping fruit up and putting it in pots before you can leave the house. The design of the packets are fun and attractive for children to look at. 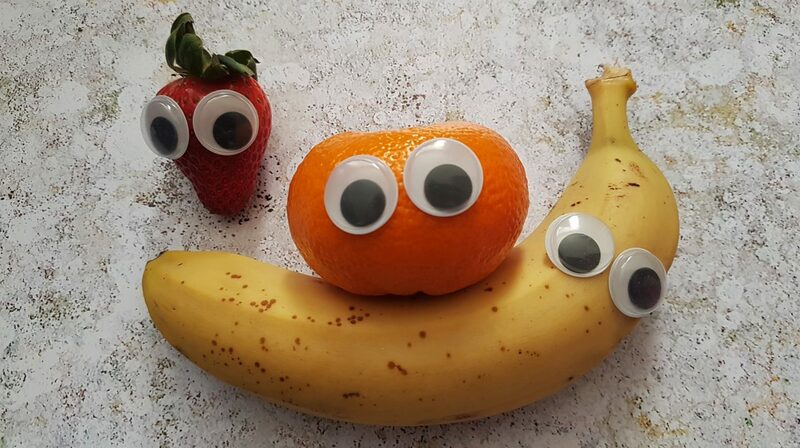 Adding to the fun of Googly Fruits, the fruits all have names. 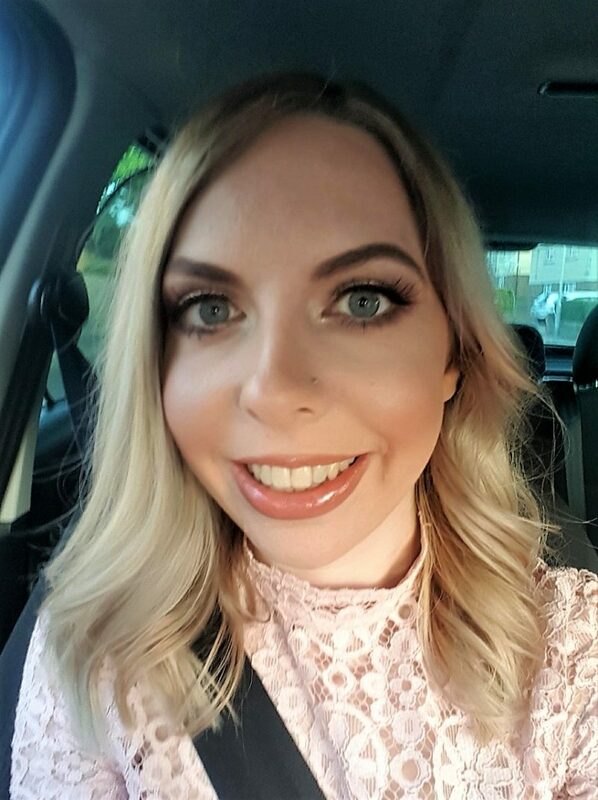 Meet Suzie Strawberry, for instance! 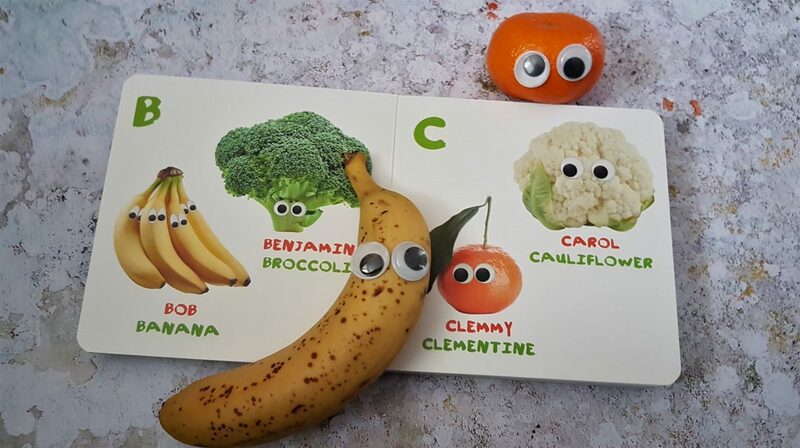 We were actually sent an A-Z book of fruits and vegetables with their names. There are lots of well known fruits and vegetables (including the banana, aka. Bob). However, there are lots of weird and wonderful ones that I’ve never heard of too! We’ve taken pleasure in reading this from cover to cover several times since its arrival and it is a much loved addition to Autumn’s bookshelf. 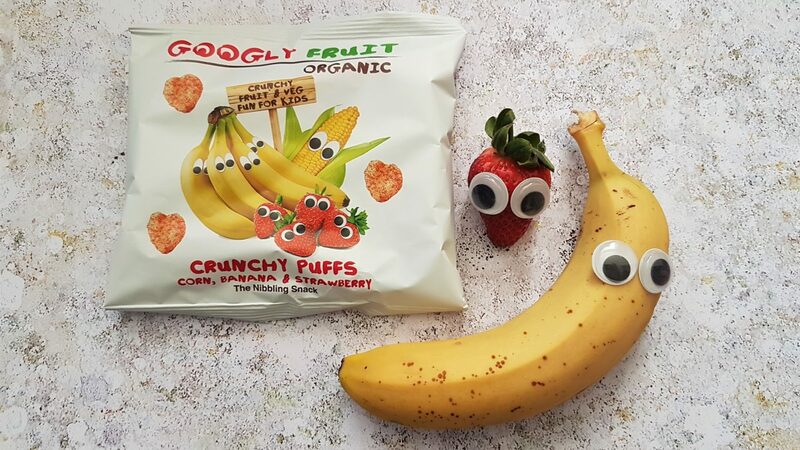 Googly Fruit are available for purchase at Ocado and Superdrug, as well as KidsChoo. I hope your children enjoy them just as much as Autumn has enjoyed hers! I’ll definitely be keeping my eyes peeled for them next time I go to buy my make up. Disclosure: We were sent the aforementioned products for the purpose of this review. As always, all views and opinions are honest and my own.